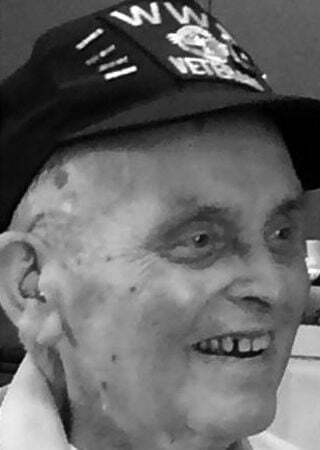 HAMMOND, IN - Thomas W. Mauger, 92 of Hammond, IN passed away on July 11, 2018. There will be a private service on Friday July 13, 2018. Thomas was born on November 22, 1925 in East Chicago, IN. Thomas joined the Army January 5, 1944. Thomas served in WWII and the Philippine Luzo War and waited on orders to serve in the Korean War. He reported to Fort Bend Harrison and from there to camp Barley Texas in the 64th training company while there he was trained for combat medic and then went to motor school training and back to the 64th and trained on 1/2 ton and 1-1/2 ton trucks. He then went to Fort Lewis, Washington for rifle training for the Pacific and then to Camp Beale in California with 221st General Hospital to go to the Pacific and orders changed, he went to Camp Kilmer, NJ and he got orders to go to New York to get on the Queen Mary with 22,000 troops on board to go to England landing in Scotland to get on the LST to France, 221st General Hospital and landed on Utah BeachFrance. 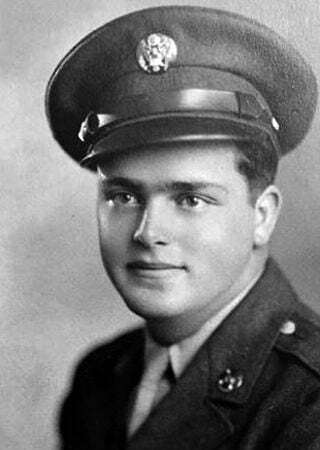 He served as an ETO and WWII ended in Europe. He was then sent to the Pacificwith the 539 Motor Ambulance Company where he was a replacement and then he served in the Philippine Luzon War. When the war ended, he continued serving in the Army until he was discharged. Thomas was a truck driver for the county highways. He also worked at Standard Oil as a boiler maker and also worked at Inland Steel as a crane repairman. He worked for the County Deputy Sheriff office as Asst. Chief. He worked for Indiana Guards S-4 Major. Served as past Post Commander Miley Beck Post 8426 from 1956-1957. Served as 1st 2nd 3rd Vice Commander. He was in the VFW 7660. He was in the American Legion Post 369 and VFW 7881 as a life member. He also worked for Strack and Van Til as a courier and Mr E. Stracks Driver for 28 years. He was married 68 years to his wonderful and beautiful wife Mary before her passing. He is survived by his two children Thomas of Highland and Mary Hatfield of Hammond IN; grandchildren: Christina (NOE) Hernandez of Mount Prospect, IL, Thomas Mauger, Jr. of Hobart, IN, Cindy (Michael) Martz, Jeremy (Colleen) Mauger of Schererville, IN, Michele (Dan) Volk of North Judson, IN and Christine Warkentine of Hobart, IN; great grandchildren: Evangelina and Alexander of Mount Prospect, IL, Charlotte and Benjamin Mauger of Schererville, In, Joshua, Lindsay and Tim Volk of Crown Point, IN and Austin and Samantha. He also is survived by his canine friends Ginger and Molly. He was preceded in death by his parents Thomas and Edna Mauger and sister Adeline. He will be greatly missed by so many people. He was a very kind and generous man who would do anything for anyone and he was a real Hero. KUIPER FUNERAL HOME is entrusted with his arrangements, www.kuiperfh.com.